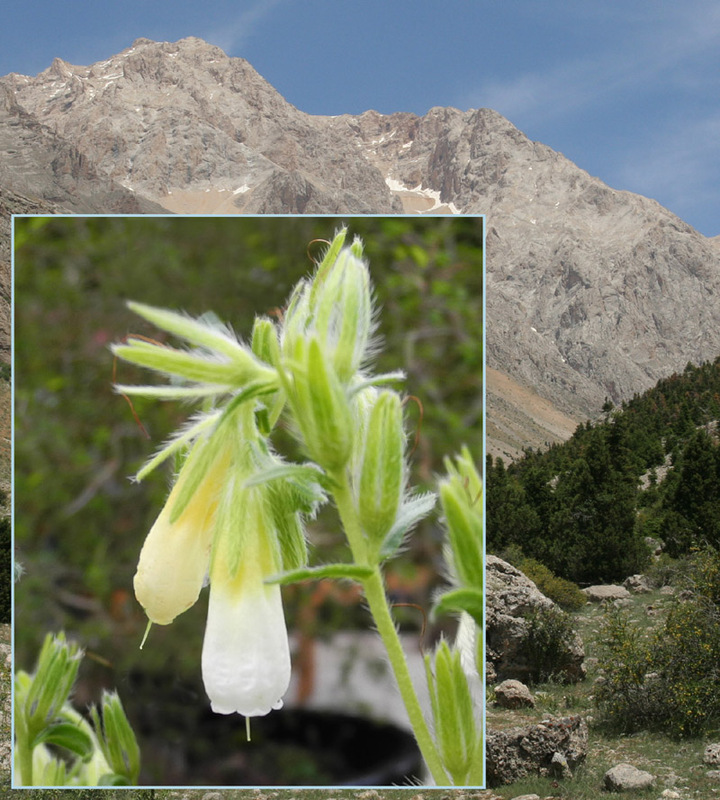 Onosma nana, a member of the Boraginaceae family, is a lovely plant from the high limestone cliffs of Turkey where it can be found with white, pale yellow or ice blue flowers. This perennial has bristly tufted stems 10-20cm long with densely hairy narrow spoon shaped leaves and clusters of tubular flowers which can become blue or pink as they age. The flowers are 1-2cm long and last over a long period. 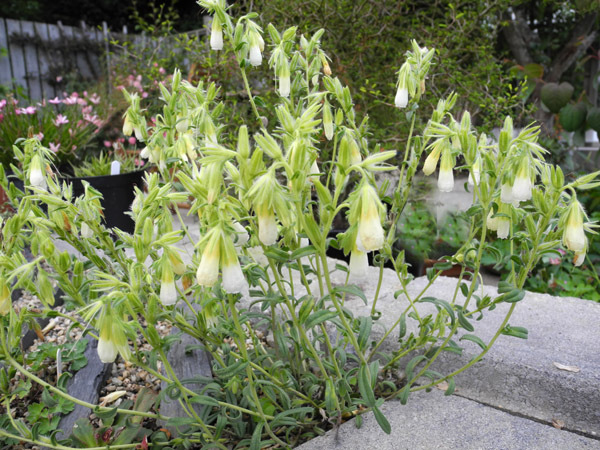 Flowering is from May to August and it is an excellent plant for a sunny well drained site in a crevice,wall, raised bed or scree.